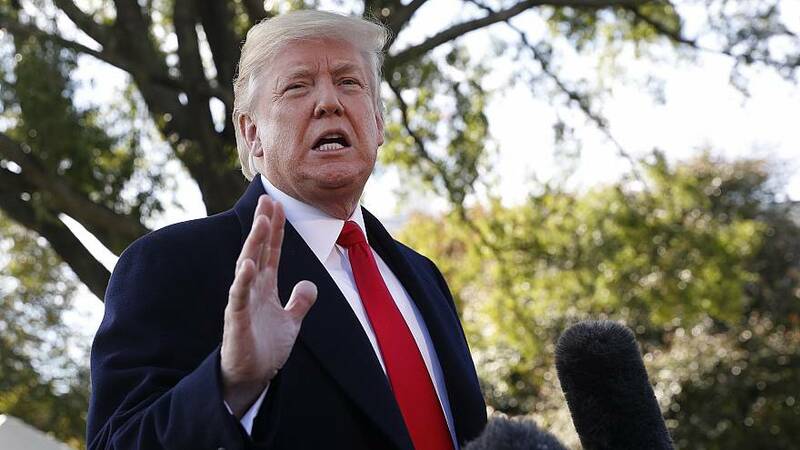 WASHINGTON — President Donald Trump spoke warmly of his former foe, Sen. Ted Cruz, while en route to Houston, Texas, on Monday to campaign for the incumbent Republican. "He's not lying Ted anymore. He's beautiful Ted," Trump told reporters on the White House South Lawn. Trump's comments are a far cry from the 2016 primary campaign, when the two presidential candidates attacked each other at length. Trump nicknamed Cruz "lyin' Ted," implied without evidence that Cruz's father was involved in the assassination of President John F. Kennedy and ridiculed Cruz's wife, Heidi, for her looks. Cruz, for his part, called Trump a "sniveling coward" who sends "nasty tweets" and a "pathological liar." He also refused to endorse Trump at the Republican nominating convention. Cruz has found himself in a closer re-election race than anticipated against Democratic Rep. Beto O'Rourke from El Paso, who Trump attacked on Monday. "Highly overrated," Trump said, referring to O'Rourke. "I thought he got beaten badly in debates." Trump will speak at the Houston Toyota Center later this evening.